Metro does not plan to raise fares next year, but it also does not necessarily plan to increase service, even as it hopes riders come flooding back to the system. WASHINGTON — Metro does not plan to raise fares next year, but it also does not necessarily plan to increase service, even as it hopes riders come flooding back to the system. Under previous practice, Metro would have raised fares next summer as part of an every-other-year schedule. Avoiding any fare increases and any new service cuts while focusing on safety and ridership growth are among General Manager Paul Wiedefeld’s priorities as he prepares the budget for the year beginning in July, a presentation to be given to the Metro Board Thursday said. The Metro budget preview said there will be increased focus on “customer marketing” and monthly passes and a consideration of changes to service hours, service frequency and ways to speed up bus service as part of the effort to increase ridership. It is not clear whether that consideration will actually result in the one thing that could most increase ridership: boosting service to previous levels, especially outside of rush hour. Metro has largely focused on riders with 9-to-5 jobs, and the Metro Board is being asked to consider the “budget, service reliability and safety implications of hours of service” cuts made permanent in 2017. The board is set to hear justification for the cut hours again next month. “The FY2020 Operating Plan begins with two key priorities: increasing ridership and employee engagement,” this week’s budget presentation said. Metro hopes to improve employee recruiting, improve frontline management, improve employee facilities and improve labor relations with its unions. Wiedefeld faces a challenge on that front though, as he also hopes to continue his effort to expand the use of private contractors in the system. His full budget proposal is due to be presented to the Metro Board next month. Formal public input is expected in late January or February, followed by the adoption of the budget plan in March. Metro expects it may blow through a promised 3 percent cap on operating subsidy increases from local taxpayers, even after including recent raises for workers and soon-to-be-extended rush hour Red Line service in this year’s budget, but likely without violating new legislative restrictions implemented this summer. With the additions, the base subsidy being contributed in the current budget year by Maryland, D.C. and local Northern Virginia governments is $1.06 billion. That would cap the subsidy increase at $32 million. There were several exceptions built into the caps in the Maryland and Virginia legislatures, though, including for costs related to ramping up to begin service on the Silver Line extension to Dulles Airport and Loudoun County. Other exceptions include federal mandates such as worker safety rules and some paratransit services. Metro estimates those mandates and the start of Metro staffing for Silver Line Phase 2 will cost about $90 million. It is also unclear whether the estimated $27 million in cost-of-living increases next year ordered by an arbitration panel for Metro’s largest union fall outside the 3 percent cap, since there was also an exception for payments related to any legal disputes or proceedings. Metro also estimates it will lose $23 million in revenue next year as riders avoid the system due to major weekend and round-the-clock track work. One way to offset subsidy increases under consideration would be to again shift federal capital money to the operating budget to help pay for regular preventive maintenance rather than longer-term capital improvements. 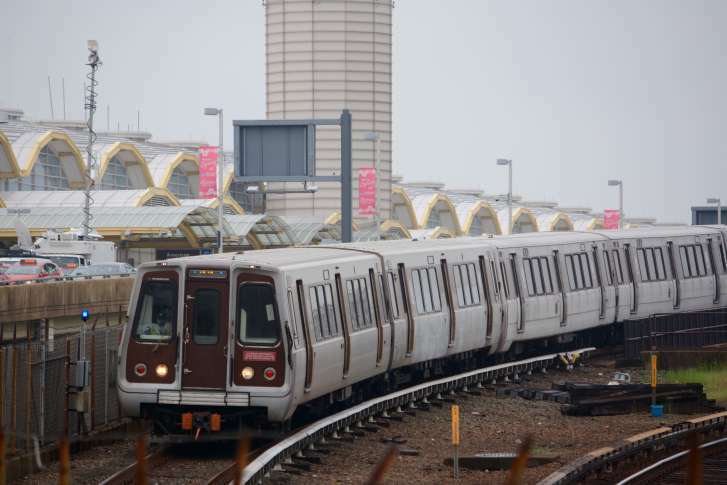 Metro now has additional dedicated capital funding through Maryland, Virginia and D.C. taxpayers, but is still crossing its fingers that Congress will renew or add to an annual $150 million capital contribution that began following the deadly 2009 Red Line crash. Other major projects in development include platform fixes that will require major shutdowns starting next year, railcar overhaul space and replacement bus garages, efforts to address water getting into tunnels, rail and bus control center upgrades, and an expansion of transit priority technology that keeps buses moving at traffic lights. Projects still being evaluated include a possible separated Blue Line station at Rosslyn or additional tunneling to help run more trains there, fixes for Metro’s bridges, tunnel ventilation upgrades, additional stairs and entrances at downtown stations, station audio and digital engagement improvements, train control system upgrades and a potential upgrade for the often unreliable switch near Stadium-Armory where the Blue, Silver and Orange lines split. Metro is also preparing a complete overhaul of the region’s bus network, but the scope and scale of the changes are yet to be determined.